What a great dog he was! A very special animal who was so gentle yet so powerful in the field. He ran the Trial grounds in Eureka, KS at the German Shorthaired Pointer club of America with such beauty and style, this dog was still running strong at the end of the brace! I believe he could have ran another hour! He was the dog to beat.. none others came close! 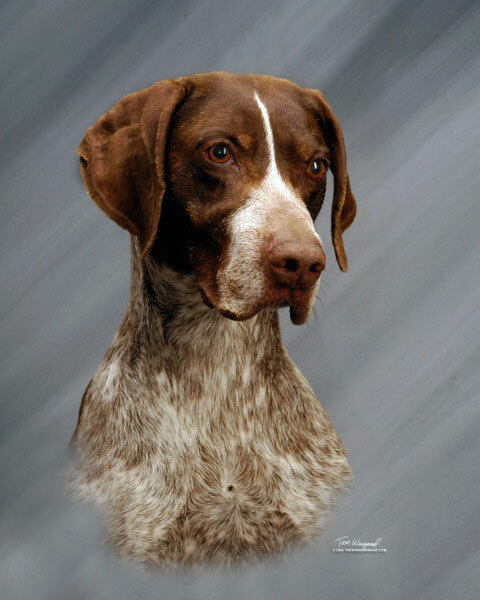 Tide is only the 8th dog in the entire history of German Shorthaired pointers in this county to have the title of Dual Champion and National Field Champion! This title signifies that he obtained his AKC show championship, his AKC Field Championship, and then went on to compete with the best dogs in the country for the National Championship win! Tide got his name as I am an avid University Alabama Football Fan! I love watching the team play and of course this University has an outstanding winning history, including 15 National Championship wins! The players are known as the Crimson Tide, due to the Crimson uniforms and Roll Tide comes from the football players running on the field in their Crimson jerseys, looking like a sea of crimson, hence the name Roll Tide Roll. So like the great National winning Football team, I also had a National Champion, Roll Tide. He loved to take his mouth and ever so gently grab your wrist and walk with you.. a trait he passes onto his get. I had to warn all the puppy buyers so they would understand this was part of Tide! 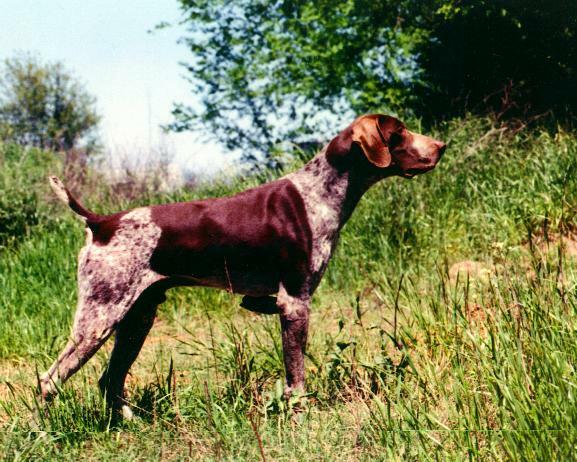 *This outstanding dog won the German Shorthaired Pointer Club of America National Open Gun Dog Championship in Eureka, KS in October 1998!!!!!! 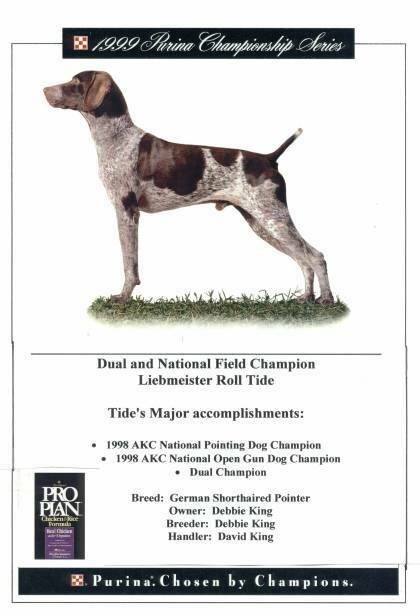 *Tide was the winner of the American Kennel Club Pointing Breed Gun Dog Championship (retrieving stake) in April 1998. *He was chosen as Purina's Dog of the year in 1999. Now joining the others who await you at Rainbow Bridge may you run the meadows and hills with your head and tail high!